This movie shows Mach number distribution around the elastic plate in flutter. 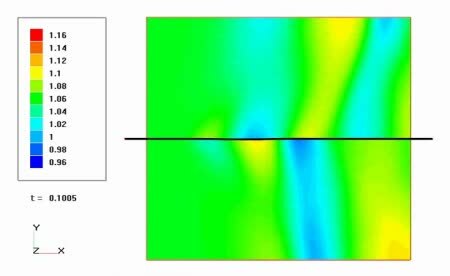 This visualization is used for analysis of the elastic plate behavior in a uniform flow. Read more in Evolution of nonlinear panel flutter oscillations.